STOWE, Vt. – Maria von Trapp, a member of the musical family whose escape from Nazi-occupied Austria was the basis for “The Sound of Music,” has died, her brother said Saturday. 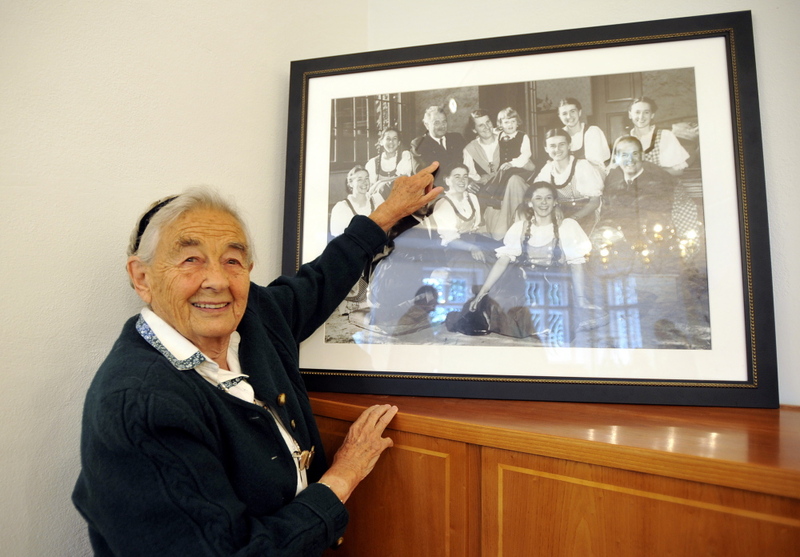 Von Trapp, 99, died at her home in Vermont on Tuesday, Johannes von Trapp said. Maria von Trapp was the last surviving member of the seven original Trapp Family Singers made famous in “The Sound of Music.” Their story was turned into the film and Broadway musical. She was the third child and second-oldest daughter of Austrian Naval Capt. Georg von Trapp and his first wife, Agathe Whitehead von Trapp. Their seven children were the basis for the singing family in the 1959 Broadway musical and 1965 film, which won the Oscar for best picture. Maria von Trapp was portrayed as Louisa in the film and musical. In 1938, the family escaped from Nazi-occupied Austria. After they arrived in New York, the family became popular with concert audiences. The family eventually settled in Vermont, where they opened a ski lodge in Stowe.